NO. 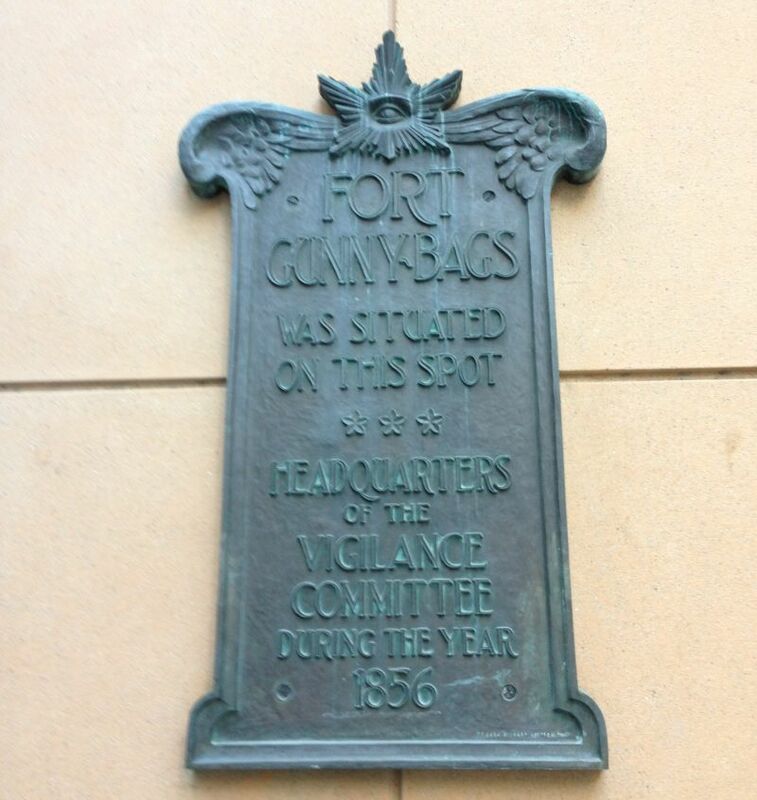 90 FORT GUNNYBAGS - This is the site of the headquarters of the Vigilance Committee of 1856. On June 21, 1856, Judge David S. Terry was arrested and confined in a cell. The committee, fearing that his friends might attempt to rescue him, decided to fortify the building with gunnysacks filled with sand. 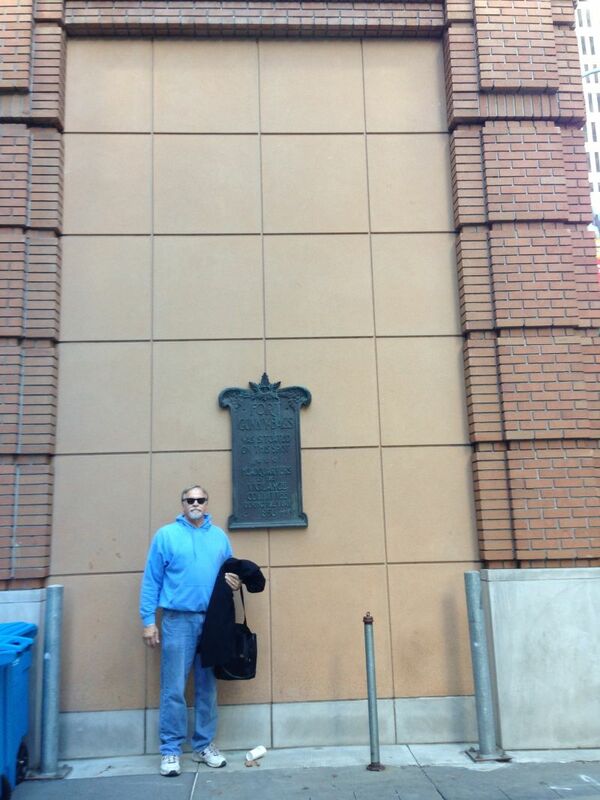 The plaque is on the side of the building that faces the bay.